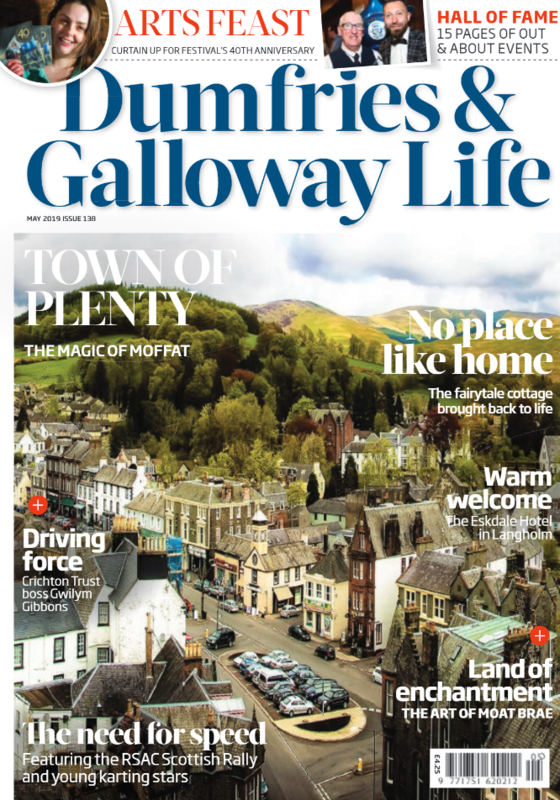 » WHO MAKES DUMFRIES & GALLOWAY GREAT? 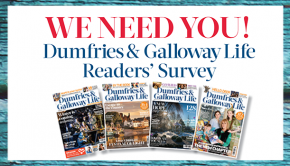 WHO MAKES DUMFRIES & GALLOWAY GREAT? 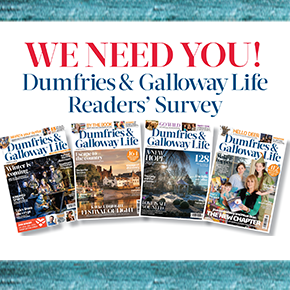 This is an extra-special year for Dumfries & Galloway Life, as 2019 marks the 10th anniversary of our much-loved annual awards – and we want you to be part of the celebrations. 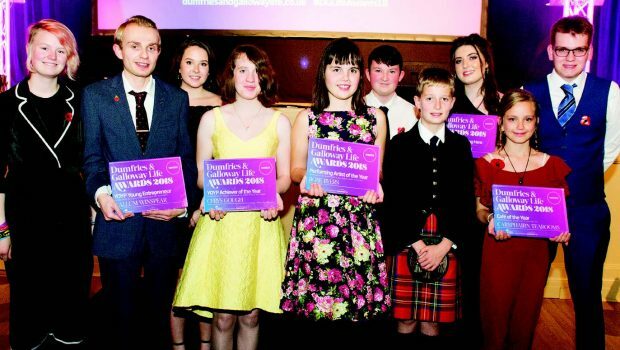 Described as “a celebration of the remarkable array of talents, entrepreneurial skills and community spirit to be found in every corner of our region”, “a colourful celebration of the vibrancy and worth of the people of the region”, and “one of the major events on the area’s calendar”, the Dumfries & Galloway Life Awards highlight the heart-warming and inspirational stories of individuals and groups doing their best for their communities, and the amazing achievements of people who are striving for excellence and helping to fly the flag for the region in the worlds of food and drink, culture and sport, enterprise, export and retail. Here, we reveal the categories which will be open for entry next month and we are delighted to say that, following the amazing response to the new prizes we introduced last year, as part of the Year of Young People 2018, we are going to continue to have awards which recognise the achievements of our young people. In the Community section we have awards for: Volunteer of the Year; Voluntary Group / Charity of the Year; Community Project; Community Champion, and Environment Champion. In the Enterprise section we have awards for: Business Person of the Year, Tourism Champion, Independent Retailer, and, new for 2019: Family Business of the Year. There are awards for Restaurant of the Year, Produce of the Year, and Café of the Year in the Food & Drink category, and in Culture & Sport we have awards for: Culture Champion, Visual Artist / Maker of the Year, Performing Artist of the Year, and Sports Person of the Year. In our Young People – Class of 2019 category, we have awards for Community Champion, Achiever of the Year, Unsung Hero, and Young Entrepreneur. 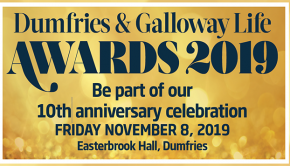 We also have the Judge’s Special Award, the overall winner’s award, and, new for 2019, to mark our 10th anniversary year, the Award for Outstanding Contribution to Dumfries & Galloway in the last 10 years (2009-2019). We’ll have full details of how you can enter in next month’s magazine, but start thinking now about who you would like to nominate and see recognised for the special work they do in our region. As the award-winning magazine at the heart of the community, we are proud to be running these awards for the 10th year, but they couldn’t happen without the support of our fantastic sponsors, including SP Energy Network, Easterbrook Hall, Rouchan Loch Crematorium and Woodland Burial Site, and the University of Glasgow, which is celebrating its own milestone anniversary this year: 20 years on the Crichton Campus in Dumfries. Being one of our 2019 awards sponsors is a great way to showcase and promote your business right across the region and beyond and is a fantastic opportunity for you to say thank you or well done to, and to help honour, those people who deserve recognition for the work they do to create a better community and world for us all. For sponsorship opportunities, contact: Caroline Dean, Business Development & Sponsorship Manager, at caroline.dean@newsquest.co.uk or call 07753 811684.